To my mind, active creation of belief is a function of immersion reinforced by agency. Immersion is derived from consistency and depth and from the establishment of clear boundaries. A fantasy novel series or a detailed television storyworld encourages us to believe in it by being extremely detailed and consistent. When fans are able to explore the world, to ask questions of it, and discover new and consistent facts about it, then their belief increases as a result of their actions and they experience the active creation of belief. Interactive applications are a good fit for supplying information on demand and for helping people to keep track of the increasingly detailed storyworld that episodic television is delivering. But the design of these applications is still rough, often disrupting immersion by distracting from the dramatic presentation or calling attention to the fact that the world is not real. HBO GO is one of the best examples of an application that reinforces immersion, but the single-screen presentation is a liability, introducing a secondary suspense (when will new information pop up on the right-hand side?) to compete with the narrative suspense. 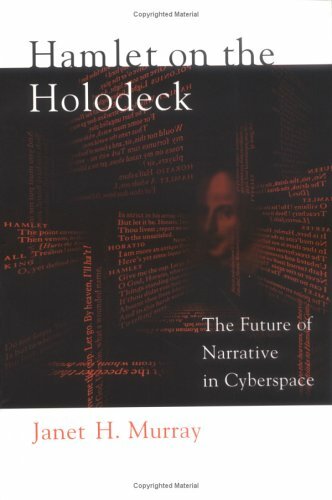 This entry was posted in Ch 2 Affordances of the Medium, Design of the Unfamiliar and tagged active creation of belief, agency, Hamlet on the Holodeck, Immersion, TV. Bookmark the permalink.